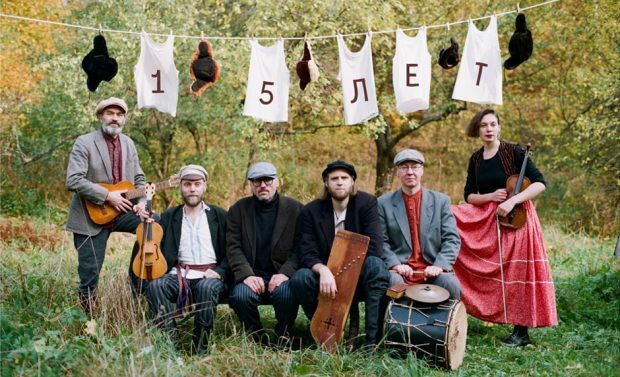 Band from St. Petersburg (Russia) OTAVA YO (Отава Ё) is a real treasure for those who love true folk music, not its adaptation. I discovered it only last year and finally we had a talk (2019 01 25). To tell in short, the band OTAVA YO was born spontaneously around 2003, its members are all busy in the different bands, and OTAVA YO has become a kind of realization of what they could not do in their main projects. Here's our interview. You can read about it more in the webpage here (in Russian and English) or in Facebook. Last year the newest, 7th album, came out («Любишь ли ты», "Do You really love?"). Hello, dear Friends! It was an astonishing moment when i found Your music on the internet. This folk (neofolk?) music is a fresh air in this world. First of all, i am sorry i write to You in English, although i know Russian well, but i hope many people will read about You. So, what is the beginning of Otava Yo? And what does this name mean? 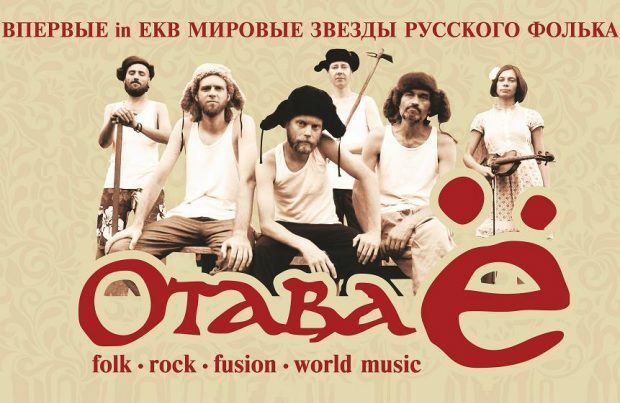 The name of the band comes from Russian word - отава, means after grass - the grass which comes 2 weeks after you cut it. We used to play on the streets in St. Petersburg for about 3 years. On the streets we discovered that the music we play together for us is much more than just nice tunes. We had big success and lots of people gathered on those street concerts, so it was quite natural that we decided to make a band after those years of busking. 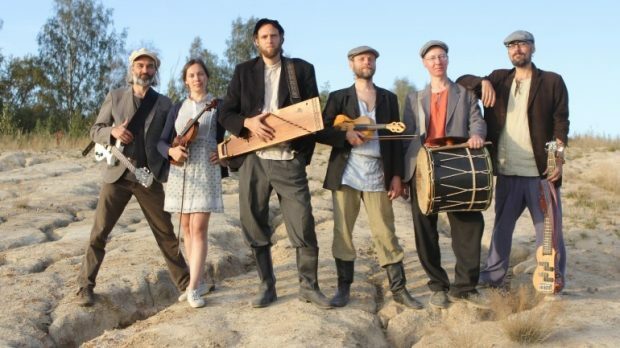 How to call the style we play… Well, quite difficult to say, formally you can say we are post-folk, or even folk-rock, but it seems to me that Otava Yo is staying apart from all those genres. Our music is based on roots, but the “harvest” we get is quite unique. It is interesting fact - the children all around the globe are the biggest fans of our group. We receive lots of feedback from their parents who call us "The kings of 4 years old kids". How many are there of You, and who are You (by professions, ex-bands, etc.)? In the beginning we were 4 - Alexey Belkin - gaita (Spanish bagpipe), Alexey Skosyrev - guitar, Dmitriy Shikhardin - fiddle, Peter Sergeev - percussion. Only Dima graduated musical college, the rest of us self-educated. For example, my degree is in economic and I have started to play the music very late - 24 years old. We all at different time used to play in folk band Reelroad. After years of busking with Otava Yo we invited 2 more people to join the band - bass guitar player and second violin player. What is Your main idea of Your music? New point of view to folk music? We are trying to play music we like and make it without compromises. 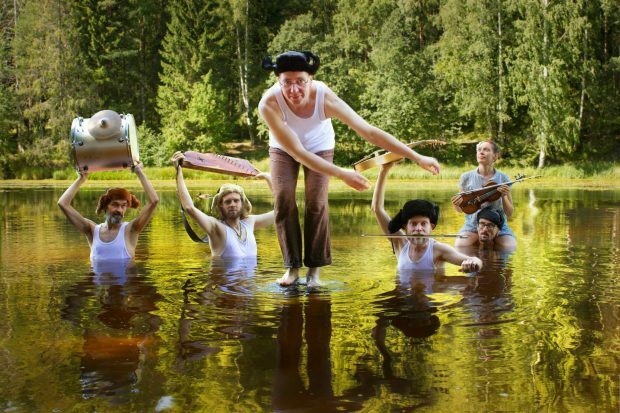 During Soviet era in Russia folk music was totally underground. The USSR government tried to replace the roots music with fake “Kalinka-malinka” orchestras which were so far away from real Russian folk music. All the world has misconception about what Russian folk music is. All those balalaika orchestras - they are meaningless, because they lost the main idea of folk music, they were pretending being folk, but they were all fake. 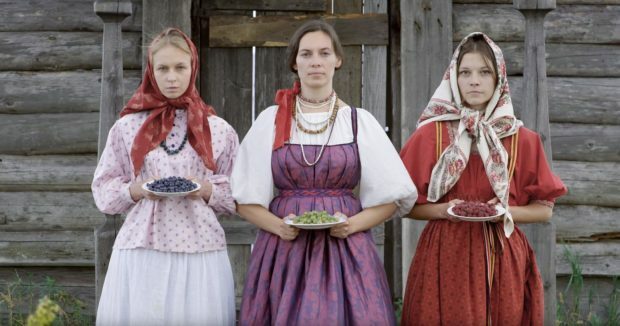 And it is a pity and shame, so for us it was very important to show that russian folk music it is totally different from what everybody abroad thinks it is. And what is the most interesting thing we succeed even for russian people who discovered that russian folk music is not what they got used to think and be bored of. Our first big concerts were in Europe, so by that time we understood that it is extremely important to arrange music so good so anyone could understand it even without understanding the lyrics. The traditional music inspires us, we respect it and try not to spoil the roots, but to refresh it with our music ideas. Somehow the way we play music appeared to get lots of attention and respect from listeners all around the world. The folk music deserve more attention than it has now. First 2 videos we shoot totally by our self. Including camera work. But since “Street cleaner” I invited professional photographer to achieve better quality of picture and to avoid defects in shooting materials. Because when we were shooting by our self - the quantity of defected shots were quite big and during the editing we faced some difficulties. But all the videos I direct and produce myself. Starting from “What songs” I have a partner with whom we write the script and make videos. But the main ideas and concept of all our videos are created by me. I can’t imagine it could be done by someone else. Also the members of group are very important in production of videos. Some funny ideas we created right on the set. The videos we make work for us so good, because we create them for Otava Yo and from Otava Yo. Being a part of Otava Yo I know (may be better to say "feel") what fits Otava Yo and what doesn't. It is quite difficult to describe, but it is like that. I do not think that if we were inviting other directors they could feel Otava Yo's ideas and soul the same good. It is like handmade bread - it is very special. What about Your discography, concerts and plans? Here, we also have sort of revival of folk (neofolk) music. What Lithuanian bands do You know/like? We played several times in Lithuania. Last time in Kaunos there was a very talented group with 2 gorgeous ladies “Baltos Varnos”. I enjoyed a lot the music they played. Our main plan now is to work on the new songs and on the new video. There are some ideas which we would like to realize. But most of all now we need to practice a lot. In March we are going to have big St. Patrick’s day festival which I organize, this year it will be the 20th edition and Otava Yo of course will play there. Also there are some plans for summer - we have several invitations from festivals in Europe and Russia. I am a big fan of Otava Yo already. What groups and musicians are there that You are fans of? Every band member has own music taste. I myself like to listen to variety of music. I like Penguin Cafe Orchestra (UK), Lo Cor De La Plana (France), Bani (Georgia), Iļģi (Latvia), Michael Nyman and many many others. But mostly folk music. Quite rare rock or pop-rock. Any thoughts about life? In Your clips it seems so happy that one wants to dance. Life is good when you are doing what you really like. We like what we are doing and we are happy that our music can make happy somebody else. Our videos - of course it is not reality we live in, but it is where we would like to be and we invite all the people to join us.